REVIEW: C-Tek D250s smart battery charger – Do your dream! 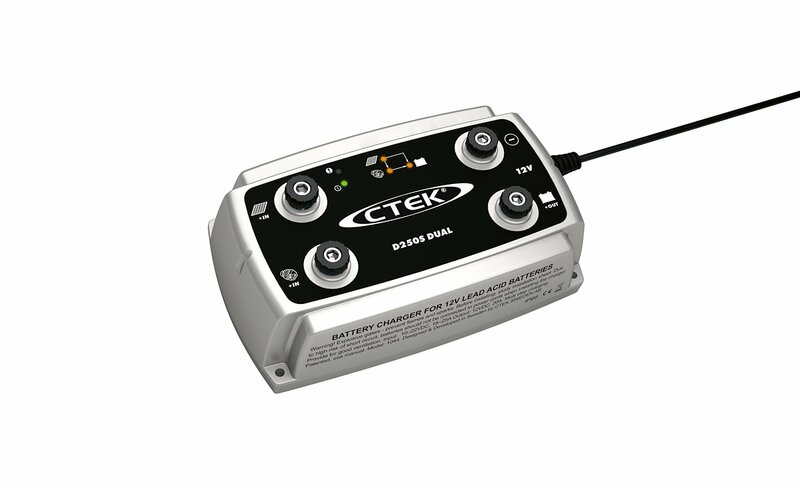 I’m not going to review all the parts of the van, but this c-tek d250s requires a special mention. Most motorhomes/campervans have some form of 12v charging system. this is usually some split charge system that uses the engine to charge the leisure battery when the engine runs. Some also need a solar controller to charge the battery from solar. And some want to be clever and charge the engine battery from the excess habitation power. We looked at all these systems and someone recommended this c-tek d250s charger, which totally simplifies the entire setup. You connect 4 wires – one to engine battery, one to leisure battery, one to solar panel, and one to earth. that’s it. (okay, of course, via fuses and the like and the correct size wires, but you get the idea). the c-tek then, simply, just deals with it. Hassle free. It uses the engine battery and pulls up to 20A to charge the leisure battery (100A smart pass upgrade available if needed). If leisure batteries are full, it can back charge the engine battery.. It is a full multi-stage smart charger – not just whacking the voltage across, but complex control of power application from multi stage boosts to float. Bottom line – it just works, and works very well! For us, it maintains our 200AH of batteries very well, and if low the engine does put in a steady 20A intelligently. It does not just connect them across as a split charge system would, but it pulls 20A, then puts out the right voltage for the leisure batteries at that time. Fantastic.